Do you feel trapped, unfulfilled or unhappy in your job? No, I'm not totally thrilled with what I do for a living... but what else is there? Yeah, I'd love more freedom with my time... but who doesn't? Sure, I have passions I'm not pursuing... doesn't everyone? Of course I want to live my best life... but how do I find the money to do that? You are ready to start Finding Fabulous! This Amazon Best-Selling book is full of inspirational, real-life stories of individuals that have challenged the status quo, left successful careers behind and found their own versions of fabulous! 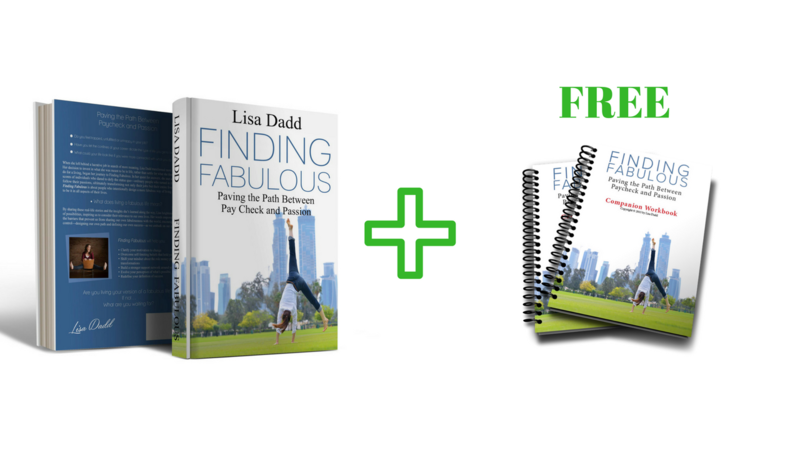 With your purchase, you will receive a FREE guide to help you get on your own path to Fabulous! This 49-page Guidebook walks you down a path of self-discovery, helps you open up new paths of possible, and leap over obstacles that might get in your way, so you too can design a fabulous career and create a lifestyle of your dreams!